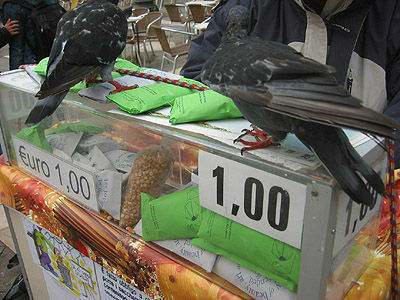 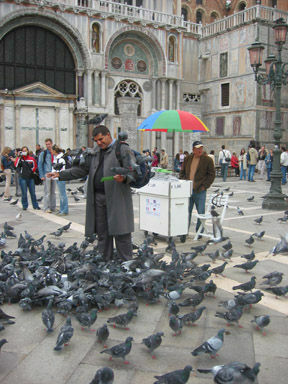 Vendors who sell pigeon feed for 1 euro a bag to the many tourists who flock to Piazzo San Marco to awe at the architecture and feed pigeons used costumised bags with Belfast stories for the duration of the long weekend. 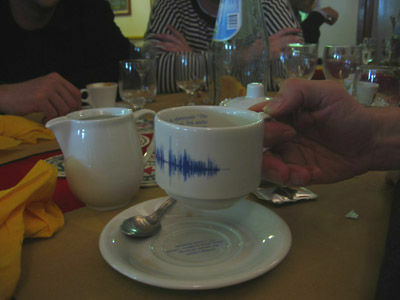 Meanwhile Venetians were served coffee in costumised cups in La Palanca, a coffee shop frequented by Venetians on the residential island of Guidecca. 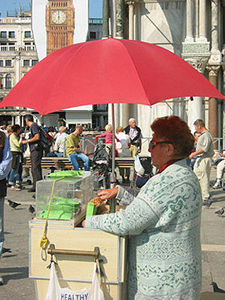 The work aimed to examine the relationship between tourists and Venetians in a city that is so synomonous with tourism.